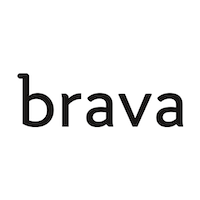 Brava ovens are technologically advanced countertop ovens sold directly to consumer. Using what they call “Pure Light Cooking™”, the ovens used infrared energy and 6 independently functioning bulbs to cook food easily, quickly, and to perfection. The Brava oven’s vision system is particularly impressive! It’s an internal camera that captures a high-resolution, real-time image of your food so you can see how it looks at anytime. The image is displayed on the oven and your smartphone too, via their app!